The industrialized, corporate-controlled, fossil fuel-based world we’ve lived in for so many years is crumbling. Climate change is stoking natural disasters with unprecedented force and regularity. Civilization has reached a fork in the road and — depending on the path we take — we will either spiral into chaos or make something beautiful out of the ashes of the old system. It’s that second path that this post is all about. 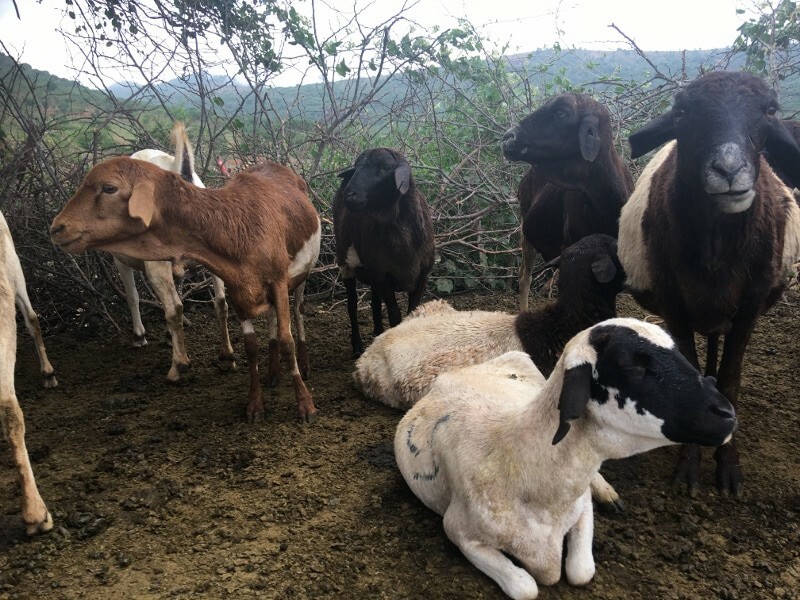 It highlights the work of two organizations that have built themselves up in response to major crises caused by climate change — one in Puerto Rico and one in Kenya. In both cases, a crisis presented the opportunity not just to reconstruct what existed before, but to create a genuinely new way of doing things that is decentralized, place-based, and local. In Puerto Rico, Hurricane Maria devastated the island in 2017, even more so than was previously thought. 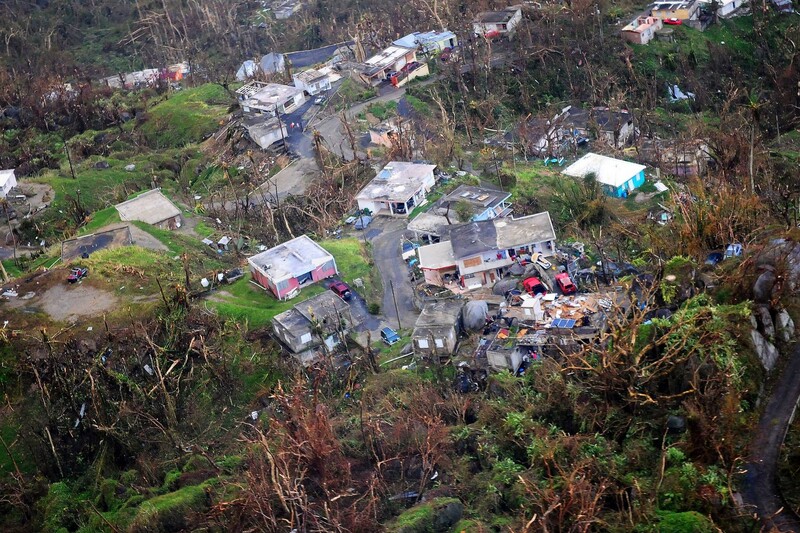 Yet the response from the US government has been to ignore the severity of the problem and to continue treating Puerto Ricans as second-class citizens. Image from a post-Hurricane Maria reconnaissance flight over Puerto Rico; September 23rd, 2017. In response, many Puerto Ricans are taking matters into their own hands, and one of the most inspiring examples is Resilient Power Puerto Rico. 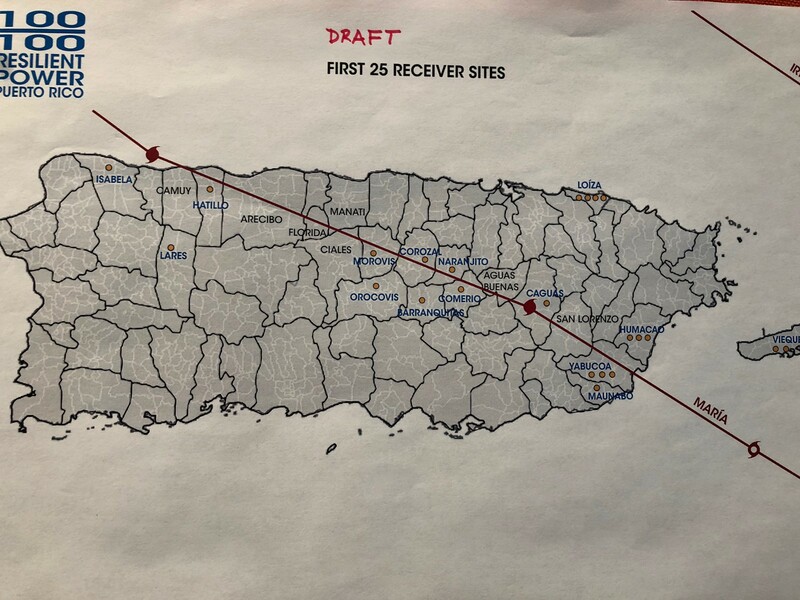 Launched after Maria hit the island and knocked out nearly all of its electric power infrastructure, this group developed small-scale, mobile solar power kits, which it is now distributing to the most remote and hardest-hit communities — and eventually, it hopes, to every household on the island. Along the way, solar technicians will train local residents in the technology used, and those residents will train other residents, and on, and on. What emerged as a rapid response to a climate-caused disaster will thus evolve from a stopgap measure into a long-term effort to break free from the fossil fuel industry, and to empower communities to build, repair, distribute, and take charge of their own energy future. The emancipatory power of self-reliance lies behind the work of another NGO, this one in Kenya. 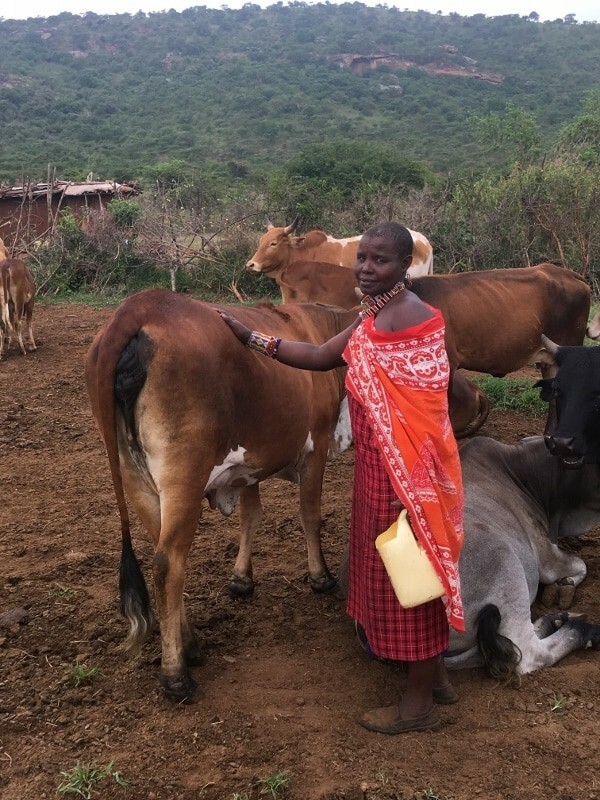 For Dalmas Tiampati and his organization, the Maasai Center for Regenerative Pastoralism, the goal is to break free from the need for food aid, and from predatory non-local businesses that try to profit from the needs of vulnerable populations. The community was so happy and our elders really loved that after getting a University degree I was coming home and investing in our village. I become a role model for our young people and was highly respected for understanding what is really important in life; community, good health and a sense of identity. My community were reduced to beggars who depended on food relief to survive. This food was poor quality and very different from what we were used to, so it made us sick…People started coming to me for help. I had a little money, so I helped buy food, but the food was being sold expensively by exploitative business people who hoarded it in order to raise demand to increase their profits. 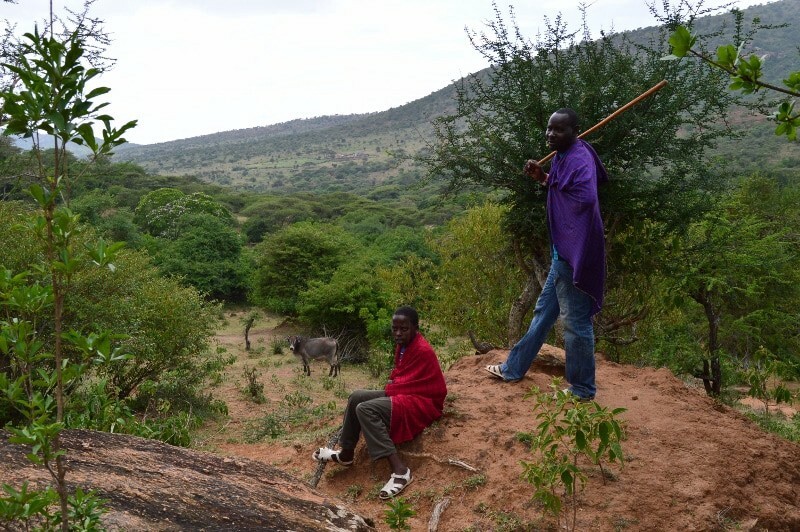 In response, Dalmas founded the Maasai Center for Regenerative Pastoralism, whose goal is to address the root causes of the Maasai people’s vulnerability. It promotes holistic grassland management — intensive rotational grazing that sequesters carbon, makes grasslands more resistant to drought and flooding , ensures water security, and helps prevent the pastoral way of life from getting swept away by global economic and environmental forces. Read about other ecologically-focused grassroots projects on our Planet Local: Ecology page. Read about other decentralized renewable energy initiatives on our Planet Local: Local Energy page. And if your community is facing a crisis today (or preparing to face one in the near future), now may be the perfect time to start thinking creatively and planting the seeds of a better, more resilient, more localized system that can see people through disaster — both now and many years down the line. Follow Local Futures on Facebook and Twitter, or by email. Visit www.localfutures.org to learn more about Planet Local and our other projects.